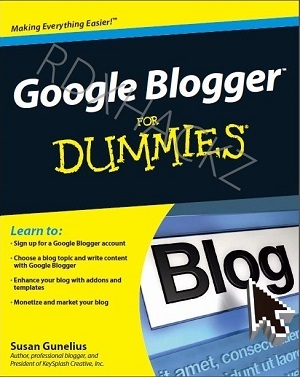 "Google Blogger From Dummies"by Susan Gunelius is a must read book for Google Blogger newbies. The e-book we are talking about here is essential book that a blogger or a new comer to blogging must read. It includes what is a blog, why made a blog, how to make a blog, how to edit and design your own blog in detail. Blogger.com is owned by Google. It is the best platform for the people who wants to make a website or blog for free, that is extremely easy with blogger. It provides free templates to make your blog look good before the readers. You can manually customize your template also from built-in tools or for nerds who know the languages like html, XHTML, XML, CSS, PHP, Java Script, etc. can customize with HTML Editor.